Singer-songwriter Travis Atreo is releasing his EP "Keep Hope Alive" on Feb. 3. 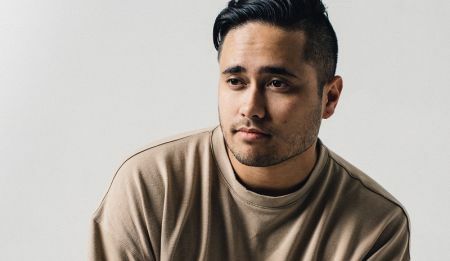 Singer-songwriter Travis Atreo has made a name for himself covering some of pop music's biggest hits, with some 40 singles released last year alone. Now he's preparing to unleash his own music on the world with his EP Keep Hope Alive, which is scheduled to be released on Feb. 3. AXS conducted an email interview with Atreo to learn more about him as an original artist, what got him into music, and which other singers influenced his compositions. AXS: How did your family influence your music career? Travis Atreo: Music was always a part of my life. My grandma was a music teacher and my mom was a musician at the church I grew up in. I ended up joining the church band when I was around 15 years old and continued it into my adult life. I believe this is the reason I fell in love with music and decided that I wanted to make it into a career. AXS: So what's your intent as an artist? Do you have certain goals you're hoping to reach through your music? TA: I’ve always believed that music can be used as a tool for good. Music is this amazing language that everyone speaks, similar to food. While food is essential to our health, music is essential to our soul. My hope is that my music can somehow help people feel better than when they began listening to it. AXS: How would you describe your Keep Hope Alive EP? What's the message of the record? TA: I think the biggest thing that stands out to me about my EP is the message of “hope.” I’ve always wanted my music to help people, and right now, with the given current times, I think people could use a little bit of hope. One of my favorite songs is “Waiting On You." I started writing that song with my producer the night of the election. It was really tough to try and not be distracted, but once the dust settled we had a lot of inspiration to write the song. My hope is that people will really feel the message of the song: [that] if we want to accomplish anything we’ll have to do it together. AXS: Did you have a particular creative process in making the EP? TA: My creative process can sometimes look a bit all over the place, but the most successful work process for me would be writing the melody first, and then surrounding the rest of the music and lyrics around that. As long as there is a melody it comes easier to create music around it than the other way around. AXS: Have you locked in any plans for promoting the album once it's released? TA: Right now the main plan of attack will be social media and a tour. I’m currently planning a West Coast tour with my good friend Mario Jose, aiming for the spring and then hopefully heading to Asia in the summer. The rest of the year I plan on touring as much as possible to get the word out and connect with my fans. AXS: Who are the artists who have inspired you to get to this point? TA: My biggest inspiration for my music has been Ryan Tedder and his band OneRepublic. Other artists that inspire my songwriting are Bruno Mars, Andy Grammer, and The Weeknd to name a few. My personal playlist sometimes doesn’t even consist of music close to my genre - artists like Dan + Shay, Big Sean, Taylor Swift, and Drake. AXS: What's the favorite concert you've been to as a music fan? TA: The last great concert I went to was Andy Grammer’s show at the House of Blues in Anaheim. That one stood out to me a lot because at the time I wasn’t sure if I wanted to continue pursuing music as an artist. It was an interesting time in my career. Seeing his show reminded me of why I love to perform and the magic that can happen by connecting with your audience. That night I made a personal vow to make [the magic] happen. Keep Hope Alive will be released Feb. 3 on iTunes. Until then, music fans can also listen to some of Atreo's covers on his YouTube channel. For more on Travis Atreo, visit his official website.